HUNTINGDON, Tenn.– Over three inches of rain fell on Carroll County in only three hours. 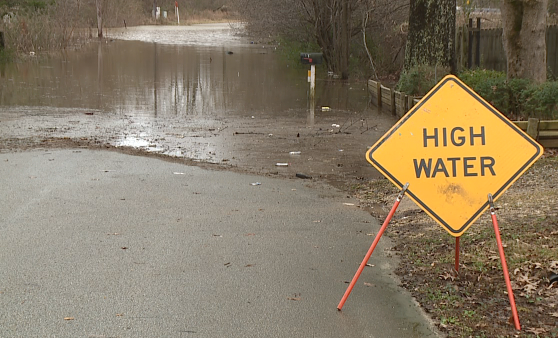 “We started to see flooding in some of our roadways, out in the county and some in the cities,” Emergency Management Director Janice Newman said. Newman says some residents were still out on the roads during the downpour, not expecting that much rain. “It created some issues, and we actually had some people who were trapped in their cars in the water,” Newman said. Everyone made it out safely, but officials don’t want it to happen again, so they canceled school for Thursday. With more flooding expected, Newman says they want residents to be prepared. “We want to make sure if you don’t have to be out on the roadways, please don’t,” she said. If you have to go out, be safe. “Please do not go through water. Turn around, don’t drown, because it’s really putting your life in danger, and we do not want to have to do a water rescue,” Newman said.